Wed., Feb. 28, 2018, 2:03 p.m.
BOISE – A University of Idaho law professor is suing the Idaho Department of Correction under the state’s Public Records Act for refusing to hand over documents about its use of execution drugs. Aliza Cover asked prison officials last fall for purchase orders, receipts, source paperwork and other documents on the drugs the state used in its two most recent executions and that it expects to use in future executions. The department refused, contending the records were exempt under department rules. In the lawsuit filed Tuesday, Cover says the department had previously released at least some of the records and even produced them as evidence in some court cases. She said the state is being arbitrary and capricious in the way it responds to public record requests, prohibiting the public from accessing even basic information about the Idaho’s lethal injection drugs. The American Civil Liberties Union of Idaho is representing Cover in the lawsuit. The Idaho Department of Correction didn’t immediately respond to a request for comment from the Associated Press. The way states find, obtain, pay for and store lethal injection drugs has been a key issue in court cases across the country. Many state prison officials try to keep such records secret, in part over fears that suppliers will dry up. Pfizer announced in 2016 it would not provide lethal injection drugs to states, and last year the company asked states to return any lethal injection drugs they had previously obtained. With most traditional suppliers gone, some states have turned to compounding pharmacies or foreign countries to purchase the drugs. In Nebraska, the World-Herald and Lincoln Journal Star newspapers recently filed lawsuits asking a judge to order the release of lethal injection drug documents sought under the Nebraska Public Records Act. And the Ohio Supreme Court recently announced that its judges will privately review records about lethal drugs that the state prison system wants shielded from public view as part of an open records dispute. Cover said she’s been researching how secrecy surrounding lethal injection might shape society by preventing the public from fully understanding capital punishment. 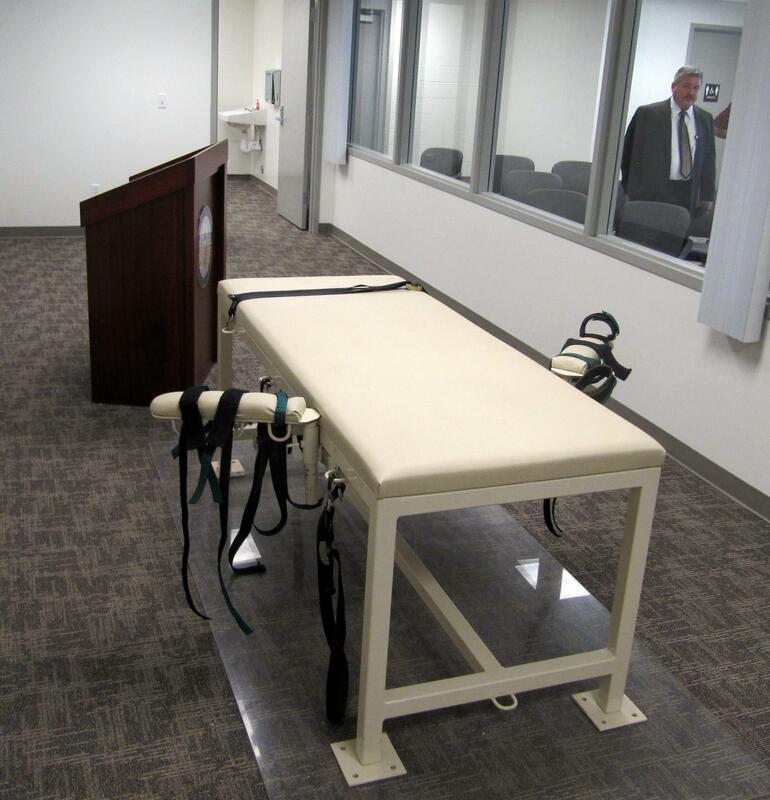 Idaho’s current lethal injection policy allows state officials to pick one of four methods, including two single-drug options. The policy also allows the state’s executioners to modify the lethal injection method with the approval of IDOC’s director. The state has only executed three people in the past several decades: Keith Wells in 1994, Paul Ezra Rhodes in 2011 and Richard Leavitt in 2012. Currently, nine inmates, including one woman, are awaiting execution. In her lawsuit, Cover says there are currently no properly regulated sources for lethal injection drugs available in the United States. She notes that Idaho prison officials have emailed suppliers in India seeking lethal injection drugs. Cover wants a judge to order the state to turn over the records or prove why the records should be kept secret. Published: Feb. 28, 2018, 2:03 p.m.